It is conceivable that the Pentagon would regard the interventions in Afghanistan and Libya as a success, as throwing Libya into chaos, while maintaining a state of protracted civil war in Afghanistan could have been part of a deliberate strategy. What we can be certain of, is that the complete and utter loss of any moral credibility, coupled with the anger and de-dollarization that this has instigated, threaten the Empire, which is resorting to greater acts of violence and barbarism in order to retain hegemony. In the never-ending quest for enemies, making Russia an antagonist is fraught with tremendous peril. Indeed, if the demonization of Putin follows the demonization of Milošević, Osama bin Laden (good for bombing almost any country), Saddam Hussein, Gaddafi and Assad the United States and Russia may very well be engaged in a hot war at some point in the not too distant future. Is the unthinkable soon to be a reality? That a professor at the John F. Kennedy School of Government could express such a crude hatred of Russians, is indicative of a virulent Russophobia that has become institutionalized, and is being relentlessly fomented by both academia and the mass media. That Poroshenko, when speaking of the Ukrainian army victory that drove the anti-fascist forces from Slovyansk, could refer to them as “gangs of animals” underscores the fact that when it comes to Russia neoliberals, neocons, and neo-Nazis are all marching to the tune of the same drummer. The revival of Nazism in Eastern Europe, and to a lesser extent Europe generally, serves the interests of the Empire, as Nazis exist first and foremost not to kill Jews per se, but to invade Russia. This revival of Nazism also constitutes a war on the past, as monuments honoring the Soviet victory over fascism are defaced, such as the monument to Red Army general Nikolai Vatutin, who liberated Kiev from the Nazis. A monument to the obliterated Polish village of Huta Pieniacka in Lviv, which was destroyed by Ukrainian fascist collaborators during the Second World War, has not only been defaced, but destroyed beyond repair. The monument served as a memorial to the nine hundred Poles that lost their lives, with many residents being burnt alive in their homes and inside a Catholic church. In what is nothing short of a satanic image, only two stone blocks remain, one of which has been painted with the colors of the Ukrainian Insurgent Army flag, together with SS Bolts, an emblem popular with the SS. Now nothing remains of the town except this unconscionable desecration and the howling of the winds. Following the Washington-backed Maidan coup, Petro Symonenko, Secretary of the Central Committee of the Communist Party of Ukraine, denounced the criminal behavior of the Banderites and was physically attacked in the middle of the Rada. Indeed, the West has not only supported a resurgence of Nazism in Ukraine, but also in the Baltics, as marches held by Latvian SS veterans, previously outlawed during the Soviet Union, have become commonplace. Russophobe extraordinaire Hillary Clinton has gone so far as to compare the reunification of Crimea and Russia with the Nazi annexation of Austria and the Sudetenland. Unlike sophisticated Americans who know what real democracy is, Crimeans now enjoy free medical care, having returned to their ancestral homeland. An impressive new terminal in the Simferopol Airport, an enormous new mosque currently under construction in Simferopol for the Crimean Tatars (allegedly suffering terrible persecution following “the annexation”), and an extraordinary new nineteen kilometer bridge across the Kerch Strait that has connected the Crimean Peninsula with the Krasnodar Region of mainland Russia, are just a few of the other chilling horrors wrought by this brutal military occupation. Young people in Western Ukraine are being brainwashed to hate Russians in a manner reminiscent of the Hitler Youth, while children in the Donbass walk to and from school hoping that they won’t get killed by shelling from the Armed Forces of Ukraine. As children in the Donbass are ethnic Russians and regarded as subhuman, both by the Banderite regime and enlightened Western liberals, all is forgiven. For the brave Anna Tuv and many other Donbass residents, the deadly shells met their mark, killing and maiming loved ones. The decision on the part of the Trump administration to pull out of the Intermediate-Range Nuclear Forces Treaty (INF), signed by Gorbachev and Reagan in 1987, and which banned short-range and intermediate-range nuclear missiles, has destroyed what was left of the Kremlin’s trust in Washington. 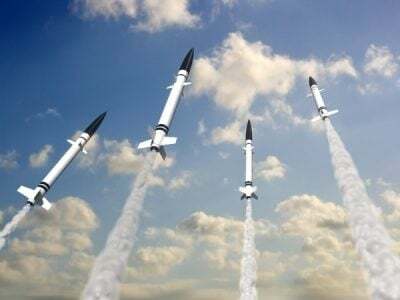 This follows the US withdrawal from the Anti-Ballistic Missile Treaty (ABM) in 2002 – also done unilaterally and despite Russian protests – and which was likewise a lynchpin for maintaining global security. The INF formerly gave Russians a certain peace of mind, knowing that if an ICBM were launched from the US, it would take approximately thirty minutes to reach Russia, giving them time to evaluate whether the perceived threat were real or imagined, and allowing for a window with which to respond accordingly. Without the INF, a nuclear warhead launched from Poland or Romania could reach a major Russian city in a fraction of the time. Moreover, this also places Europe at risk of a retaliatory strike. Clearly, abolishing these treaties has dramatically heightened tensions and will unleash an arms race. As Igor Korotchenko, editor-in-chief of Russia’s National Defense Magazine, and other Russian analysts have noted, Washington appears to no longer be cognizant of the nuclear winter and mutually assured destruction that would unequivocally follow a nuclear war. Russians also see through the lies of American diplomats, who have repeatedly attempted to deceive Moscow, arguing that abrogation of the ABM and INF treaties are a necessary countermeasure to contain security threats from Iran, China, and North Korea. In an article on The Heritage Foundation website titled “Trump Right to Consider Pulling Out of INF Treaty,” the author writes that, “As challenges arise in the Pacific involving China and potentially North Korea, the INF Treaty prevents the United States from being able to freely develop and deploy our military capabilities to the fullest extent possible in support of our national security interests.” Some Russian analysts, such as socialist Semyon Bagdasarov, have argued that Russia should stop turning the other cheek and use her military to liberate Ukraine from the Banderite regime. Furthermore, the idea that the Russian elite is concerned with who is elected president of the United States is an erroneous one, for as Putin has noted, they are acutely aware of the fact that US foreign policies remain unchanged regardless of whether a Democrat or a Republican is in the White House. This underscores the fact that Russiagate is a lamentable and pitiful hoax. Despite the mass media’s hysterical Russophobia and hatred of Putin, the fact is that the “annexation of Crimea” and the Russian military intervention in Syria, were both done legally and in accordance with the will of the people. This is in contrast with the endless chain of bloody US interventions, which have resulted in the destruction of so many countries over the past fifty years that it is difficult to keep track of all of them. This is “widely recognized” by who? By our mass media sycophants that will write any Russophobic nonsense to please their corporate masters, apparently. Moreover, the second Cold War began with Bill Clinton’s expansion of NATO into Eastern Europe. It is also irrefutable that this new Cold War is infinitely more dangerous than the first. In June of 2016, Putin spoke with foreign journalists at the Saint Petersburg International Economic Forum, and implored them to acknowledge the dangers of the US withdrawal from the ABM Treaty, as well as the relentless expansion of NATO into the former Soviet space, both of which threaten the balance of power and compel the Kremlin to take countermeasures. The latest Nuclear Posture Review (NPR) posits that the US has the right to use nuclear weapons even in response to a cyberattack, and this has further stoked fears in Moscow that the global security architecture is unraveling, and that they have no choice but to prepare for war. If Hitler and Napoleon were unable to conquer Russia, with Russians in a state of disarray and poor military readiness, what would be the result of a NATO attack on a united Russia armed to the teeth with nuclear weapons? Moreover, much has been said of the China-Russia alliance, but the reality is that even if Russia were isolated and friendless, a NATO attack on the Russian Federation would still pose a real danger of nuclear war. In 1999 President Bill Clinton made a liar of the administration of President George H.W. Bush. The corrupt Clinton brought Poland, Hungary, and the newly formed Czech Republic into NATO. President George W. Bush also made a liar out of his father, George H.W. Bush, and his father’s trusted Secretary of State, James Baker. “Dubya,” as the fool and drunkard is known, brought Estonia, Latvia, Lithuania, Slovenia, Slovakia, Bulgaria, and Romania into NATO in 2004. The corrupt and hopeless Obama regime added Albania and Croatia in 2009. In other words, over the past 21 years three two-term US presidents have taught Moscow that the word of the US government is worthless. During the 2018 annual address to the Federal Assembly, Putin unveiled a number of advanced new weapons that the Russian military industrial complex has developed to counter the relentless pressure being brought to bear by Washington and its vassals, including a hypersonic missile which can attain a speed of Mach 20, and an underwater drone that is capable of traveling at great velocity and depths. These weapons are more advanced than anything currently in the possession of NATO, and there are presently no known defensive systems which could repel them. Relations between Washington and Moscow are fraught with particular tension in Ukraine, regarded by many Russians as a brotherly nation, the Baltics, and Syria where the two superpowers are jockeying for control over Syrian airspace. In each of these three theaters, a miscommunication or a rogue fighter pilot could easily ignite a spark that could unleash a third world war. In an alarming development, Russian military officials have also determined that the drone attack on the Russian Khmeimim airbase in Syria last January, was coordinated from a US Poseidon reconnaissance plane. Considering some of the threatening remarks emanating from Washington, one can’t help but wonder if the American ruling establishment has become so delusional that they have actually forgotten that Russia has nuclear weapons. Commenting on the Russian military intervention that saved Syria from being overrun by US-backed death squads, John Kirby said that Russia will continue to send troops home in body bags. Interior Secretary Ryan Zinke has gone so far as to threaten Russia with a military blockade, an act of war. Perhaps confusing Russia with Iraq, the US ambassador to Nato, Kay Bailey Hutchison, recently threatened to “take out” Russian missiles that Washington has claimed, despite a lack of evidence, to be in violation of the INF agreement. This anti-Russian hysteria is undeniably good for the profits of the military industrial complex. It also bolsters the power of NATO, which in turn allows the Pentagon to keep European countries, who might otherwise start to wander off and do their own thing, on a short leash. Is it possible to restore reason and morality to our countrymen, mired for so long in insouciance, mindlessness and apathy? How are we to reign in this crazed war horse that is driving us inexorably, frenetically, and insatiably towards the apocalypse?